Happy new year, cheese lovers! The start of a new year is always exciting, but Jan. 1, 2011 is particularly thrilling for me since my beloved Wisconsin Badger football team is facing Texas Christian University in the Rose Bowl this afternoon. Of course, it won’t really be a contest – Wisconsin is known for kicking major booty during previous Rose Bowl games – but it’s a great excuse to get together with fellow Badgers and cheer on our team. While eating cheese, of course. In honor of this year’s Rose Bowl competitors, I’ll be serving a cheeseboard with two regional favorites. Wisconsin will be represented by Hook’s 7-Year Cheddar, and since I couldn’t find any Texas cheese at my local shop, Green Hill will stand in for the South. (And I really wanted an excuse to buy a fresh wheel of Green Hill, anyway.) We’ll have my favorite Carr’s whole wheat crackers on hand, as well as gluten-free rice crackers, and lots of beer and other appropriate beverages. Since both cheeses are amazing, our taste buds will win no matter which team comes out victorious, but you all know my bias. Go Badgers! Before I begin singing the praises of this lovely blue cheese – an apology. C+C has been woefully neglected this summer, mostly due to the newborn craziness that Colleen and I are both experiencing at our homes, and also due to the fact that I had to abstain from all dairy for almost two months to see if it would improve my little guy’s disposition. When my son’s pediatrician suggested I try a dairy-free diet, I sputtered, “But, but, I’m a cheese blogger!” But I knew it would give us the best shot at figuring out if he had food sensitivities, so good-bye ice cream, cheese, yogurt and other treats. It sucked. Thankfully, my recent trial back on dairy hasn’t given him any problems and he is a much happier baby overall, so bring on the cheese again! I finally made it back to the Cheese Shop at France 44, and after getting my hands on a wedge of Kunik (oh, how I missed you, Kunik! ), I scanned the counter for newcomers and set my sights on Sweet Grass Dairy’s Asher Blue. Regular C+C readers know that I’m a big fan of this Georgia cheesemaker’s Green Hill, so I figured Asher Blue would be equally delicious. I was right! (I love it when that happens.) This raw cow’s-milk cheese comes across as both creamy and spicy, thanks to the thick veins of blue running through it. It’s a little too sophisticated to be called a beginner’s blue, but the creaminess of the paste prevents it from being overwhelming. The Sweet Grass Dairy website suggests using Asher Blue as the basis of a blue cheese dressing, but rather than dilute the cheese’s flavor with herbs and liquid, I’d rather crumble it directly onto a salad with toasted nuts and sweet dried cranberries. The old cracker-and-honey-drizzle treatment would work fabulously, too. Pair with Port, Sauternes, Cabernet or a dark ale. *Editor’s Note: We’re coming down to the final five cheeses on the Wine Spectator list, and Colleen and I have had some trouble locating these cheeses at our local cheese shops, so we’re resorting to mail order and other methods for procuring them. While we wait for those cheeses to arrive, we’ll be writing about other interesting cheeses we’ve been enjoying. 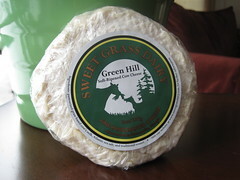 I first read about Sweet Grass Dairy‘s Green Hill from the Washington Post All We Can Eat blog’s cheese blogger, Domenica Marchetti, and though her description of this Georgia-made, pasteurized cow’s-milk cheese made me drool, I still had a lingering doubt. Just a double-cream cheese? 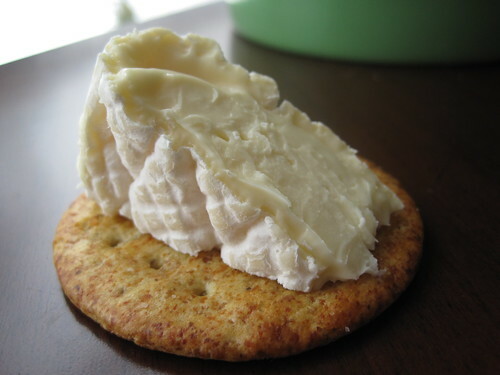 I’m a triple-cream snob, and I didn’t think the Green Hill could measure up to my favorite triple-cream cheeses. But then my cheesemonger friend Benjamin at the Cheese Shop at France 44/St. Paul Cheese Shop vouched for this cheese’s amazingness and offered to set aside a wheel for me, so I figured it couldn’t hurt to try it. A few wheels later, you could now say that I’m hooked. Sweet Grass Dairy has only been around for 10 years, but it’s quickly establishing a reputation in the cheese world for to-die-for cow’s- and goat’s-milk cheeses. The milk from the grass-fed cows makes the Green Hill so sweet and buttery that you’d think you’re eating a rich triple-cream. It’s one of those cheeses that I must stop myself from eating because otherwise I’d eat the entire wheel in one sitting. I don’t even need a cracker – I just cut off gooey wedges and savor it without adornment. Of course, the Green Hill pairs beautifully with any kind of cracker or sweet berries, and it’s a natural companion for champagne or a Belgian ale. It was my Valentine’s Day present to myself this year, and it was even more delicious than a decadent chocolate dessert. Now that we’ve taken you on a “Blue State” cheese tour from East to West, we consulted the experts for a few parting recommendations to round out your cheeseboard on Inauguration day. First off, I’ll stick with American cheeses only, of course. Secondly, I’ll pick one cheese for each color of the flag. Here it goes. Red: There’s no such thing as a red cheese, of course. The closest things are the deeply orange washed-rind cheeses, and there’s even one with the word red in its name. Cowgirl Creamery‘s Red Hawk is an excellent washed rind cheese from California. It’s made with triple the cream of an ordinary cheese, it’s organic, and it’s supremely delicious. What more do you need? White: Got to go with a bloomy-rind cheese here. New York’s 3 Corner Field Farm makes a wonderful sheep’s milk cheese called Shushan Snow. The first part of the name comes from the town the farm is in, and the second comes from the color of the rind–snow white. Mushroomy, earthy, and sheepy all at once, basically a sheep’s milk Camembert. 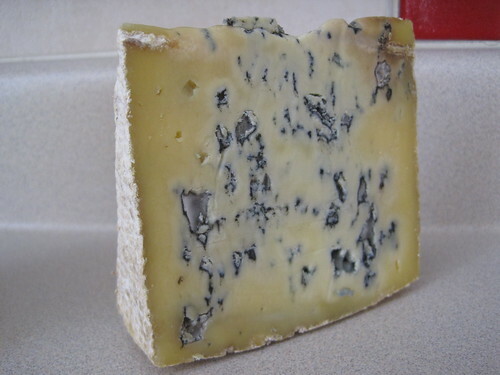 Blue: My favorite American blue is Jasper Hill Farm‘s Bayley Hazen Blue. Jasper Hill has a herd of happy, grass-fed Ayrshire cows, a breed whose milk is high in protein and fat. Bayley Hazen is drier than most similar British-style blue cheeses, but what really makes this cheese special is the grassiness underlying the blue mold flavor. “Barick Obama“, an assertive cow’s milk cheese hand-crafted in Vermont. In honor of our new President. “Lincoln Log“, a surface-ripened goat cheese hand-made in Michigan. In honor of President Abraham Lincoln. “Cider Soaked Plymouth“, a cheddar-like cow’s milk cheese made on President Calvin Coolidge’s family farm in Vermont. If you’re hunkering down south of the Potomac on Inaugural day, Cheesetique is open normal hours (11am – 9pm) to fulfill your cheese cravings, with each of these in stock. Finally, in the spirit of bipartisan unity, a shout out to our “Red State” friends. I’ve not sampled any cheeses from Senator McCain’s home state, Arizona, but you might enjoy Kenny’s Kentucky Cheddar or the offerings from Georgia’s Sweeetgrass Dairy. Whatever your party preference, have a great, cheesy holiday weekend and keep warm!